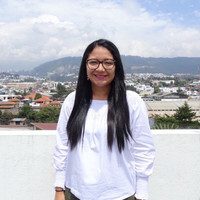 Diana is our Destination Expert in Ecuador. Kayak in Tintoreras Bay: if you are lucky you will find some sharks here! Explore the hidden treasures of the Galapagos Islands through a combination of organized day tours with an English-speaking guide, and exploring it by yourself with our self-guided packages. Kick it off on Santa Cruz Island and its highlands, where you will meet our giant tortoises. Visit the gorgeous Tortuga Bay and an uninhabited island while there. Then, take a boat to exciting Isabela Island, where you will be able to visit Los Tuneles and explore some interesting sights on your own. Go kayaking on Tintoreras Bay. Finally, take a flight to San Cristobal and visit the imposing Kicker Rock. Upon your arrival at Baltra Airport, your guide will take you to Santa Cruz Highlands to get close to the giant Galapagos tortoises, as well as many kinds of birds like the wizard and finch. Here you’ll also visit the Charles Darwin Research Station, where more than 100 scientists, educators, and volunteers provide scientific knowledge and assistance to ensure the conservation of the environment and biodiversity of Galapagos. The guides will explain more about the famous giant tortoises and you will have a local lunch here. Then, you will be taken to your hotel where you'll have some time to relax until a delicious welcome dinner is served. Today you will go to one of Galapagos’ uninhabited islands. What island you will visit depends on what day of the week you depart. Examples of islands you might visit are Bartolomé, Santa Fe or Seymour. 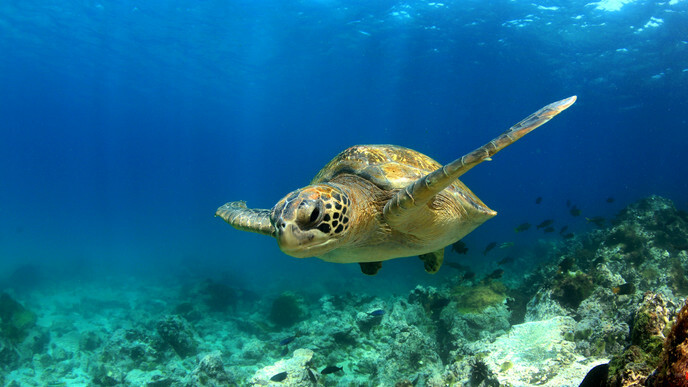 Spend the day snorkeling and discovering the island and its flora and fauna. In the afternoon you will return to your hotel. After breakfast at the hotel, you will have some time to discover the island by yourself. We highly recommend visiting Tortuga Bay, where you will be able to spot a huge marine iguana colony. Enjoy a local lunch, after which you will be dropped off at the pier. In the early afternoon, you will be taken to Isabela Island by boat. On your arrival, you will be picked up and taken to your hotel. After breakfast at Hotel Wooden House, you will go to Los Tuneles. This is one of the most spectacular places to go diving or snorkeling on Isabela Island because the water is calm, very clear, and shallow. After visiting Los Tuneles you will have time for a self-guided bike tour to locations like the Isabela Breeding Center, Wetlands or the Wall of Tears. Get ready to see some amazing places on the island! Early in the morning, you will have breakfast at the hotel. After that you will have the chance to do a kayaking or stand up paddling tour in Tintoreras Bay. When you have finished on the water, you will be picked up to be taken to the Isabela Airport. From there you will take a flight to San Cristobal. Here you can visit the Interpretation Center and Tijeretas on your own. Luckily, the San Cristobal Airport is very well situated, so it does not take too long to get to the places mentioned above. Have breakfast at the hotel before going to Kicker Rock. This is one of the most spectacular landmarks in the Galapagos Islands consisting of two 140 meter tall volcanic rocks located off the coast of San Cristobal Island. This tiny island is the favorite place for an array of marine birds. On the other hand, in the sea, you can see the great underwater life this site is so famous for. The natural erosion of this ancient cone has created a channel between the rocks providing the ideal habitat to spot a variety of sharks and rays including eagle rays, white-tip reef sharks, and sometimes even the Galapagos sharks and hammerheads! At the appropriate time, you will be taken to the airport to catch you flight. Happy travels, and visit again soon!